Fino al 27 Novembre Data/Field, curata da Richard Chartier, presso la Galleria Artisphere di Arlington in Virginia, presenta ultimi lavori di Caleb Coppock (U.S.), Mark Fell (U.K.), Andy Graydon (U.S./Germany), Ryoji Ikeda (Japan), France Jobin (Canada). La mostra incentrata sulla relazione tra dati/informazione e spazio fisico che li raccoglie - lo spettatore che diviene nodo della rete in cui il flusso di segnali si manifesta – articola opere basate sull’uso di sensori ad altre in cui i processi percettivi vengono orientati e osservati nei loro aspetti liminali e mimetici, tra collazione di dati e loro visualizzazione. Data are points that flow through fields. We can pause in these fields and extract the information. If data fields are those set boundaries in which we place, consider, and collect information, then a gallery might be a great plane of these fields. Or, leaving the natural world for the subjective, it could become an index, compiled by artist and viewer together. Created by five noted international artists, the works in Data/Fields utilize the thematic implications of the data field as they transform gallery space into hubs of sensory information: sites of signal, noise, presence, and absence. The viewer/listener becomes another connection, another point, in the flow and transferral of data. 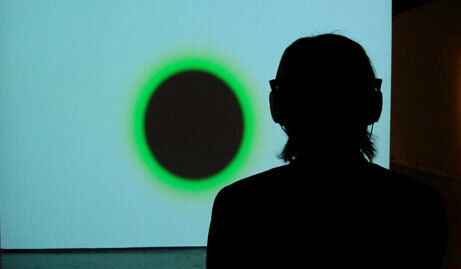 Data/Fields is curated by renowned sound artist Richard Chartier.